Prezentare (Fake Book). 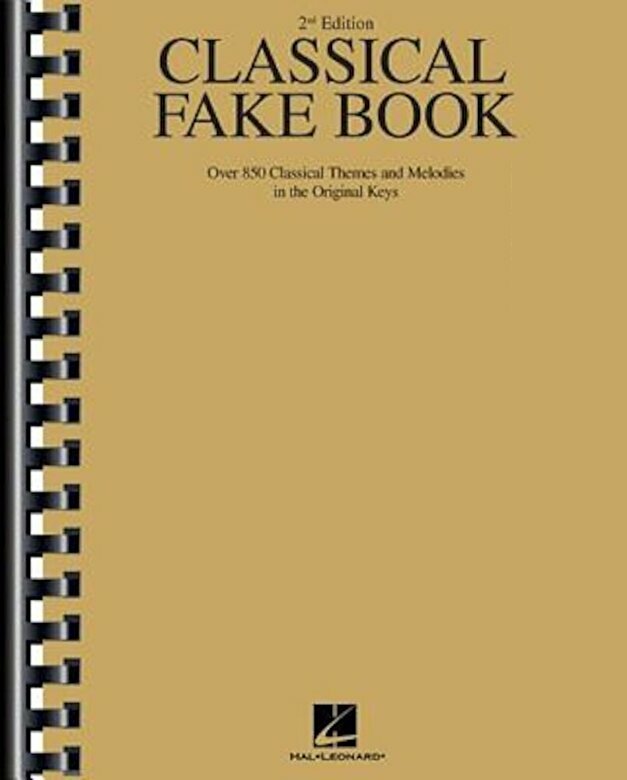 A comprehensive reference for all classical music lovers, the second edition of this fake book features 250 pieces added since the last edition. Imagine having one handy volume that includes everything from Renaissance music to Vivaldi to Mozart to Mendelssohn to Debussy to Stravinsky, and you have it here We have included as much of the world's most familiar classical music as possible, assembling more than 850 beloved compositions from ballets, chamber music, choral music, concertos, operas, piano music, waltzes and more. Featuring indexes by composer, title and genre, as well as a timeline of major classical composers, this encyclopedic fake book is great to use for playing and performing, but it's also a terrific resource for concert-goers, music students and music lovers. The chords of the harmony are indicated, and lyrics, in the original language, are included where appropriate.